We all know those time-lapse videos that speed through how to cook a meal, right?! Well, I finally saved one on FB and went for it last week. I showed L and ever since then we’d been talking about making it. 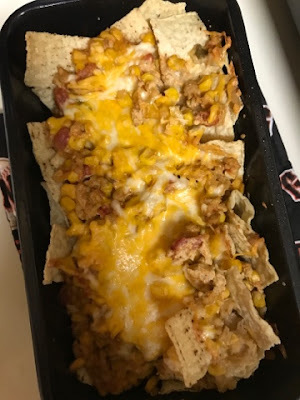 This one is from Cooking Panda, dubbed the Taco Bake. 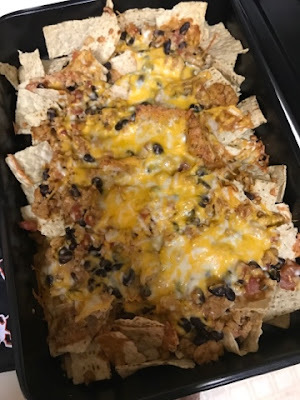 It’s essentially a nacho casserole. 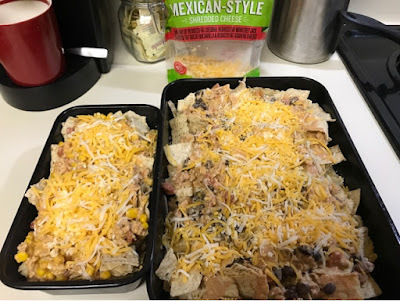 So basically, it’s like mushed up nacho’s, but really tasty. 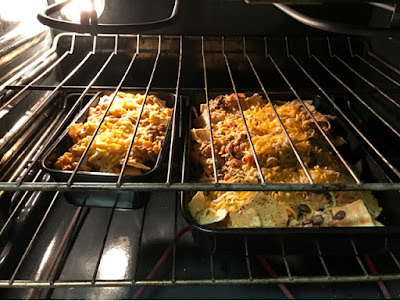 If we were to do it over again, we’d make the mixture and just use it as the topping for regular nachos — not bake it all together. Since it is a ‘bake’ some parts were soggy, because it cooked more like a casserole. It wasn’t bad at all, but we would just modify it to our liking the next go around. I added corn to mine and I loved it. J and L enjoyed theirs with beans. I could imagine people who like both to add them, it couldn’t hurt the dish. J also helped out and made guac, which we topped to each of our portions. That made the dish complete, I suggest you do the same. 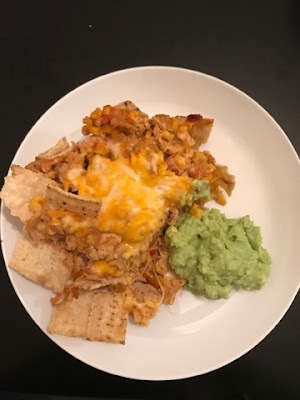 For all those videos that are posted on quick meals, this was one of the easiest and didn’t require too many steps or ingredients. You could almost memorize it after watching it once, instead of pausing and watching for each step. Gives me a little more incentive to try another one of these. After looking at Cooking Panda’s website, there seem to be a few that look interesting to make as well. Have you ever actually made one of these dishes from these videos? You say tutorial, I say virtual cookbook!